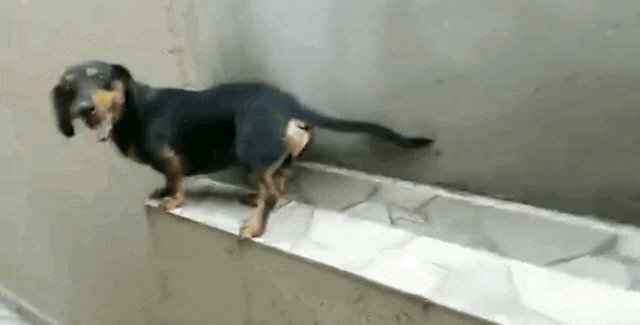 Dogs often get themselves into tricky predicaments - and their strange solutions are often the most hilarious part. 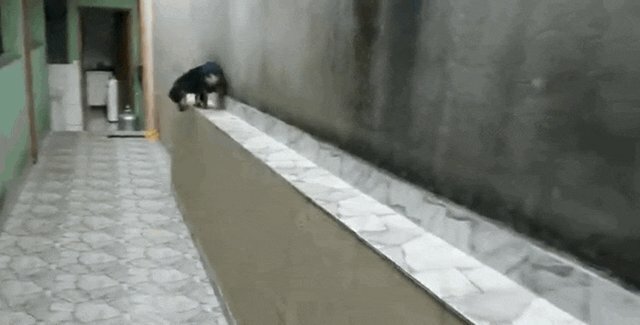 This pup's human called out to him and encouraged him to run out onto a ledge. Always up for a challenge, the pup speedily ran his way down ... until he came to a dead end. The pup thought for a minute, and then came up with the BEST idea. He walked BACKWARD up the ledge. Because of course. 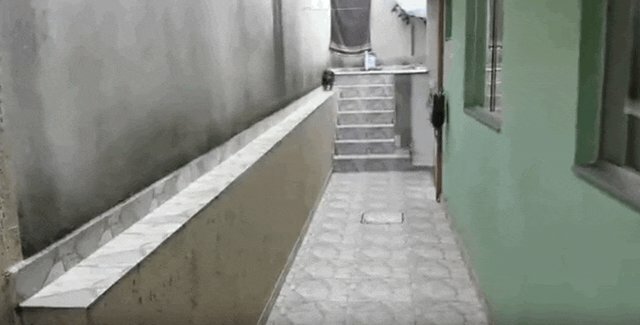 In one act, this pup has proved he's more innovative and coordinated, and probably a better dancer, than most humans. It's also pretty darn funny to watch - it's like he came up with his own brand-new dance. Look at him go!